Between the 24th and 30th April, 2015, the World will be celebrating World Immunization Week. This year, the focus is to “Close the Immunization Gap”. The intention is to renew efforts at a global, regional and national level to increase the awareness and demand for immunization, while simultaneously improving access to and delivery of vaccines. There is cause for renewing these efforts; in 2013, over 21 million infants worldwide were not reached with routine immunization services. This is a troubling statistic particularly since, on a global scale, immunization advers 2-3million deaths a year from disease such as pertussis, diphtheria and measles. 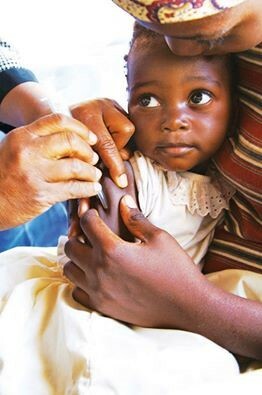 Medilink is supporting World Immunization Week in clinics across the globe where it operates. We are committed to promoting and maintaining the health of communities and we believe that a concerted effort will be a crucial step to close the immunization gap. h routine immunization services. This is a troubling statistic particularly since, on a global scale, immunization averts 2-3 million deaths a year from diseases such as pertussis, diphtheria, and measles.